Value can be destroyed overnight if a business sale transfer goes wrong. Whether you are the buyer or the seller, there are numerous issues that need to be considered and dealt with in the transfer process. 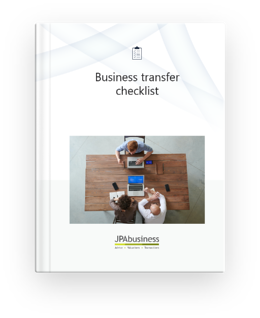 The free JPAbusiness Business Transfer Checklist is designed to help both buyers and sellers ensure the transfer process runs smoothly. Click on the image below to download. If you need support or advice in managing a business sale or purchase, contact the business advisory team at JPAbusiness for a confidential, obligation-free discussion.